Una is the Principal of Garderobe, prior to Natsuki Kruger. 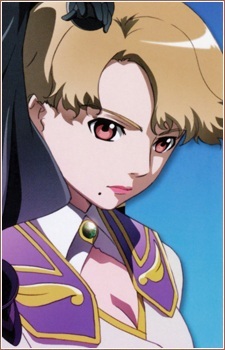 She is also the previous wearer of Shizuru's Meister GEM, the Charming Amethyst (嬌嫣の紫水晶, Kyōen no Murasakisuishō), as well as Column #3 of the Five Columns. She will do anything to prevent Sifr from falling into the Schwartz's hands.